Term 4 is traditionally very busy and this has certainly been the case since the girls and boys returned to school on October 9th. The commitment and dedication of our students is always very heartening to see, more so when they apply themselves to projects in their own time as was the case during the last school holidays when Year 11 students, Molly Hall and Carmel Allum joined other like-minded young people from Mercy Schools across Australia, New Zealand and Papua New Guinea to attend the ‘Australasian Mercy Secondary Schools Association Student Conference held in WA during the September holidays. 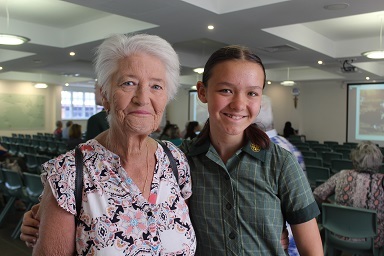 The Conference theme ‘From Humble Beginnings’, looked at honouring the foundation of the Sisters of Mercy in Australia and the faith and courage of Ursula Frayne. I must also commend Year 8 Boarder Madison Hall, who was selected to take part in Girls Takeover Parliament initiative on October 11th as part of International Day of the Girl. 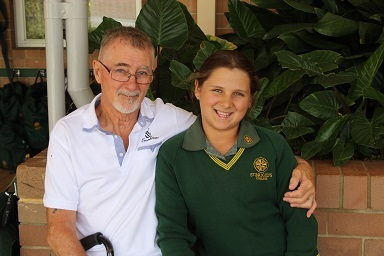 Madison’s application for the programme was described as passionate, articulate and inspirational. Madison “took over” from Hon Kyle McGinn as MLC for the Mining and Pastoral Region and from all accounts she thoroughly enjoyed the experience. 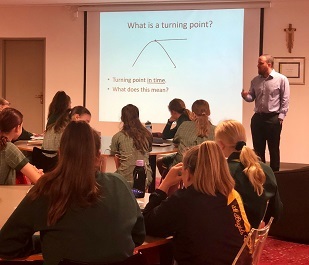 Girls Takeover Parliament WA is an innovative programme that pairs girls with parliamentarians to take over their office for the day, and ensure that girls voices and opinions are heard. Girls Takeover Parliament seeks to change the existing structures that continue to hold women and girls back, while encouraging young women to pursue leadership opportunities and exposing leaders to fresh perspectives. 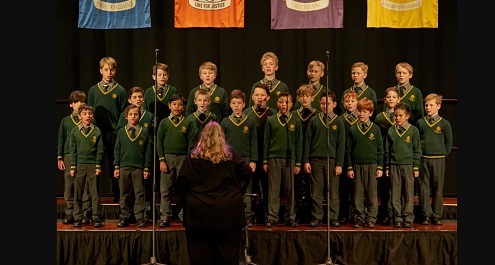 The 2018 Junior School International Baccalaureate PYP Exhibition earlier in the term was a sensational showcase of student agency in action. From the Central Idea that “People use their understanding of Science to invent, create and innovate,” students researched and wrote about their own burning questions and then collaborated with others to make models and visual media to demonstrate their inquiry learning with parents, teachers, peers and visitors. 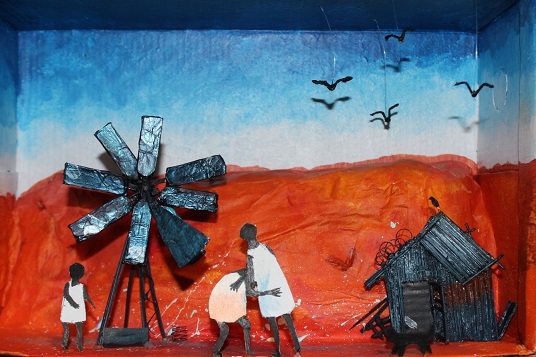 Some of the complex global issues explored by the students included; pollution, diseases, education, natural disasters, global warming, technology, disabilities, addiction, and more. It was a wonderful occasion that highlighted the exceptional skills and attributes of the International Baccalaureate in the Primary Years Programme. Similarly, the Student Art Exhibition held in the McAuley Wing, was reason to showcase some creatively inspiring works by the girls and boys. Thank you to all the parents and friends who attended, the students do very much appreciate your support. Our focus at the College may be teaching and learning, but the personal well-being of each student is vital to the holistic approach we like to assume towards the care of each girl and boy. With this in mind, a presentation by Zerotohero Presenter and founder Ashlee Harrison, a WA-based ambassador dedicated to increasing the understanding of mental health issues and the awareness of mental health services among children and young people through innovative programmes, events, and education was enjoyed by all the Year 8 and 9s. Zerotohero aims to equip school-aged children and teenagers with the skills to speak up when they are struggling and the confidence to stand up and support their friends when they may be experiencing stress, anxiety, depression, bullying, self-harm or suicidal thoughts. 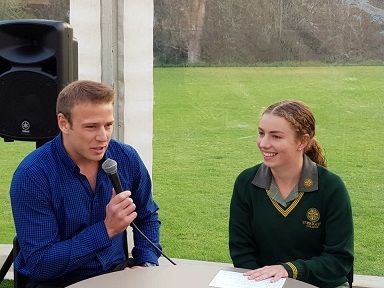 A whirlwind of events, including the ever popular Boater Throw, Mass followed by Graduation Dinner, a farewell breakfast for our boarders and a fun-filled final assembly, provided the programme of events for our graduating Year 12s. In a touching tribute, our Year 1s formed a guard of honour as the Year 12s left their final assembly and presented each girl with a parting flower. Two inspiring guest speakers, one a former student and competitive sailor blind since age 3 when cancer robbed her of her sight and an also an amputee since age 15, the other, a Paralympian downhill skier who has been 90% blind since age 19, spoke of their courageous sporting endeavours and encouraged ongoing belief in one’s ability, and striving to always improve as just two ways to reach goals and aspirations and were very well received at the, annual Sportspersons’ Dinner held in Week 2. Attended by students and their families, the evening allowed us to celebrate the dedicated contribution of our many talented and committed athletes. The College’s Presentation Night held at the Perth Concert Hall on Monday 22nd October was an opportunity to not only showcase the academic successes of the graduating class, but of all our Secondary School prize-winners. 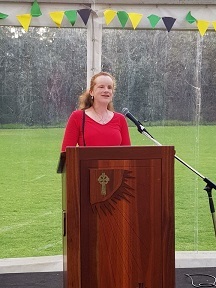 In addition to acknowledging the many successes of our girls, the evening allowed for staff accolades with the awarding of the annual Benchmark Award which acknowledges outstanding work by a staff member at the College. This year’s winner Mrs Katrina Fiolo, Coordinator of Learning Differences, an important growth area at the College where inclusivity is something that we are so very proud of and certainly could not and would not do without, is without doubt a very deserving recipient of the award. She is patient, positive and utterly dedicated to her role at the College, which over the years has grown into a flourishing department consisting of a number of support teachers and education assistants. 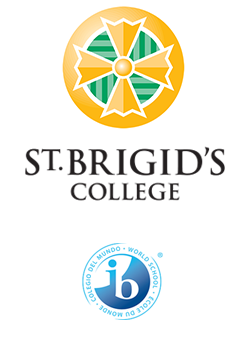 The Year 7-10 girls enthusiastically jumped into their Interdisciplinary Units (IDU) for 2018. International Baccalaureate MYP schools engage students in at least one collaboratively planned interdisciplinary unit in each year of the MYP in order to integrate knowledge and skills from two or more subject groups in an interdisciplinary manner. Their chosen topics and the associated activities were diverse and so engaging; everything from electricity, auslan, the glorious mysteries of the rosary, revolutionary dancing, the effectiveness of propaganda, turning points in history, ecological studies, battling crocodile infested waters through to positive psychology (and this is just a snap shot). The IDU programme provided meaningful connections between the learning areas and allowed students to interact with expert groups of staff and also with students who they may not normally see in their regular classes. They were strongly encouraged to become agents of their learning. Connections were being, principles challenged and most importantly our students had fun doing so. We are looking forward to watching this amazing learning journey unfold further! All the events mentioned thus far would not have been possible without the continued dedication and support of the many staff involved in many hours of preparation it takes to plan and put the event together. Parent helpers too, have assisted and I thank each and every one of them. Last week’s World Teacher Day saw the hard work and dedication of our staff recognised by the Parent Forum with a sumptuous morning tea. In addition, students were encouraged to write “warm fuzzies” for their teachers. It was wonderful for staff to read these and have their commitment to their students highlighted through heartening and authentic accolades. 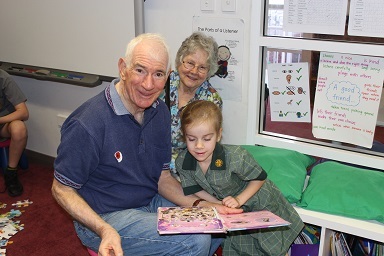 Grandparents’ Day was a wonderful celebration with almost 300 attending to spend time engaged with activities in their grandchildren’s classrooms. More than ever, the role of grandparents in the lives of their grandchildren is becoming increasingly important and we were delighted to have the opportunity to welcome them to our College community. We continue to keep in our prayers our Year 12s who have been sitting their WACE exams. As we approach the end of what has been a busy year, I hope that many families will join us for the annual Carols on the Green on Thursday December 6th as well as the many end of year Assemblies that will take place.